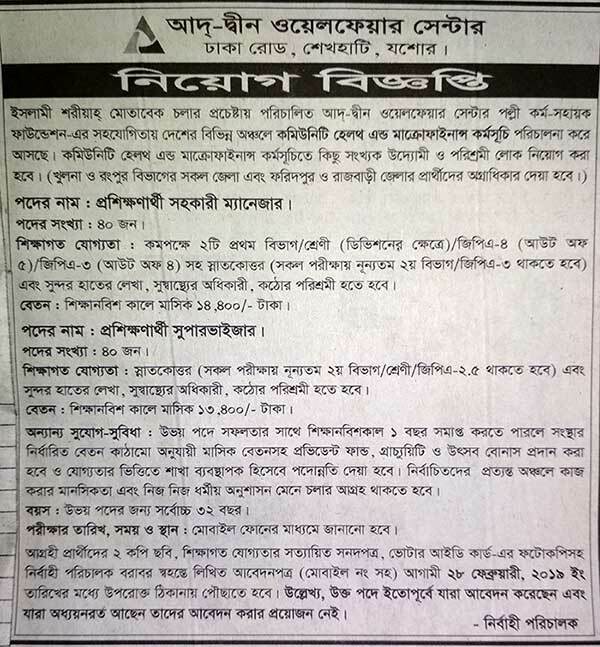 Ad-Din Welfare centre job circular 2019 has been published On 13/Feb 2019 by the authority. Ad-Din Welfare Center has published a new job circular in its official website and we have also attached the circular with this post. 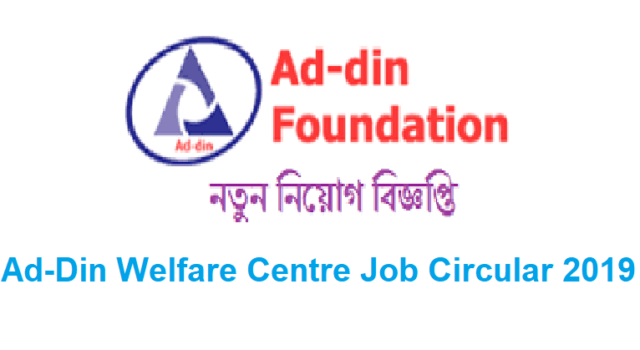 Ad-Din Welfare Center needed 80 employees in different two positions. Those people are interested in this job please applies before the deadline. Many people in our country are unemployed and looking for jobs. For them, we have updated valid job circular every day in our website. You can find BD Jobs, government jobs, private jobs, NGO jobs, Bank jobs, etc. by visiting our website. Ad-Din Welfare Center is a voluntary organization for the service of the disadvantaged. The centre has published a notification of recruitment of people for community health and microfinance programs in different areas of the country with the help of Rural Action-Supportive Foundation. For the post of Trainee Assistant Manager have 40 vacancies. The candidate should have a Postgraduate/ equivalent Degree. For the post of Trainee, Supervisor has 40 vacancies. The candidate must have a postgraduate degree. For an application, all the needed documents are mentioned inside the circular. The application must be submitted before on 28 February 2019.